“How can a house, just a collection of bricks, wood, and glass, have that much power over people?" Just as he did on ¡Qué horror! 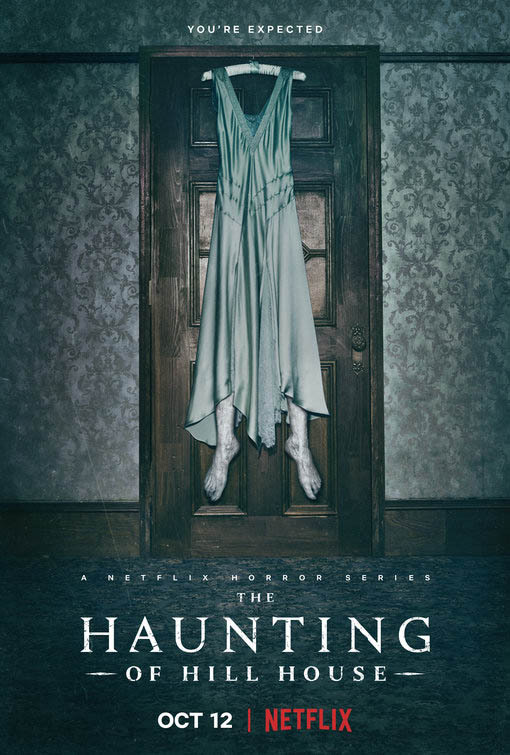 2017 title Ouija: Origin of Evil, Mike Flanagan masterfully navigates the seas of traditional horror cinema in his self-described “remix” of Shirley Jackson’s The Haunting of Hill House. This time out, unlike the original novel’s researchers and investigators, we see the Crain family move into Hill House, with the express aim of flipping it (or, fixing and flipping it, to be more precise). “This house… it’s a strange house. “I’ve worked here a long time, and all I can tell you is that it’s just as stupid and hungry as anything else. 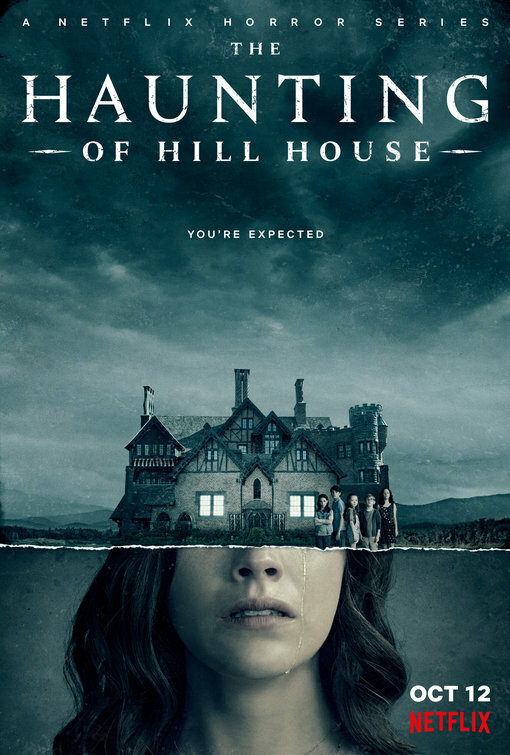 Skillfully utilizing the narrative elegance of non-linear storytelling, Flanagan and company track the family’s ordeals and progressive unraveling, both in Hill House, and decades after, in a tale which is by turns chilling and heart-wrenching. 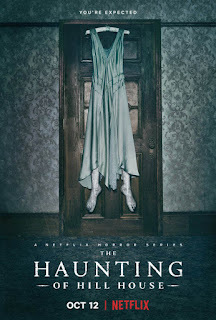 If this were a different kind of story, the Crain siblings would have taken all the lessons learned from their harrowing stay at Hill House, and ended up becoming a group of ghost-busting paranormal investigators. But in the story this “remix” chooses to tell--a story more grounded in real life and the vagaries of family--what we end up with are a bunch of scarred, f*cked up individuals, all dealing as best they can with the trauma of their childhoods. And this, quite possibly, is the best aspect of this particular take on the original material: that the dots that connect the children they once were with the adults they eventually become, are so clearly delineated. The characterizations--the result of a potent combination of the character arcs as mapped out in the narrative, and excellent performances by the cast--are just as solid as the creepy scares. “I was right here. I didn’t go anywhere. “I was right here… I was right here the whole time. “None of you could see me. Directing the entire season of 10 episodes, Flanagan brings both an exquisite cinematic eye to the proceedings*, and a fundamental understanding of the full range of his cast’s capabilities. I’d be remiss if I didn’t note that amongst an already formidable collection of actors and actresses**, the paired casting of Timothy Hutton and Henry Thomas are the cherry-so-red-it’s-very-nearly-black on top of this ghostly, sinister sundae, a sickly, sweetly rotten treat sprinkled liberally with mold and familial dysfunction. “There’s nothing wrong with going at night. It’s just a carcass in the woods. “It’s just a carcass in the woods. * Aided by long-time collaborator, cinematographer Michael Fimognari. ** Shout outs to Annabeth Gish and Dr. Lawrence Jacoby himself, Russ Tamblyn, who may just be overlooked with all the other high-caliber thespianics going on around them. Parting Shot: Though I have seen Jan de Bont’s The Haunting, I’ve never read the original Shirley Jackson novel (I really should finally get around to it), nor seen the 1963 Robert Wise film adaptation (which Flanagan seems respectfully in awe of). “Our family is like an unfinished meal to that house…"